It's Christmas morning on the snowy prairie. Join Laura as she reminisces about her childhood Christmases and looks forward to making memories with her new family, husband Almanzo and daughter Rose. 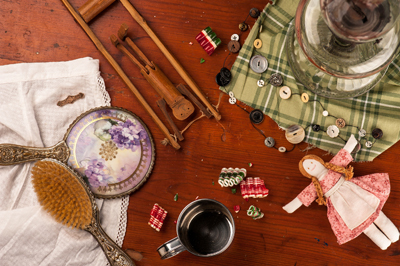 Hear stories from her childhood days and see some of her beloved Christmas gifts.